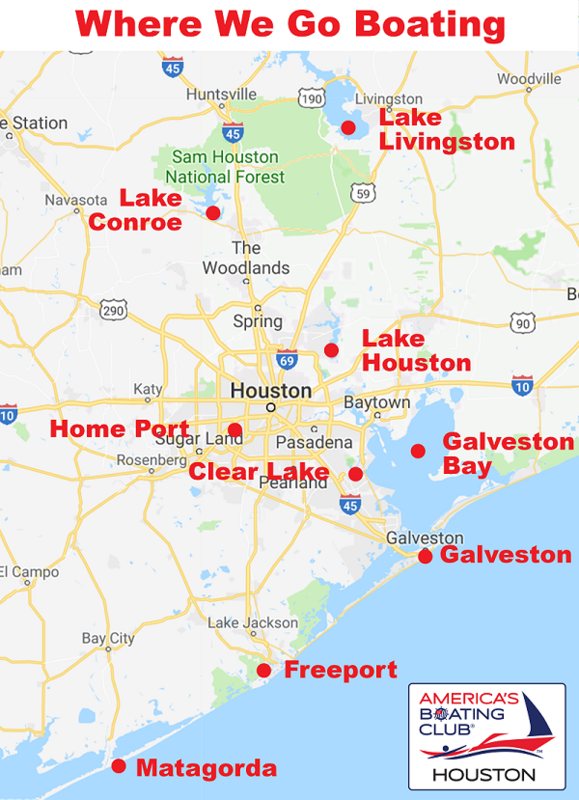 Houston Sail and Power Squadron is America's Boating Club® Houston. We are a non-profit fraternal organization whose primary purpose is to educate our members and the public with the goal of improving the boating experience for all. Whether it’s conducting our nationally recognized America’s Boating Course for the public, or providing a multi session course on Celestial Navigation, or any course in between, there’s something for everyone. We’ve formed a partnership with Sea Star Base Galveston, and put on a “Sailor U” week long class for Sea Scouts and other youth over the Christmas holiday. We conduct Vessel Safety Checks, a program designed to ensure that vessels are properly equipped for safe boating. The United States Power Squadron has been conducting these Checks for 17 years and has inspected over 425,000 vessels to date. These VSC’s are available to anyone. The charter for the Houston Sail and Power Squadron was granted in February 1949 as part of District 15. It became one of the founding squadrons of District 21 in October of 1956. As the first squadron in Texas, our burgee (the triangular shaped flag above) draws on the proud history of our great state. The white star in the field of blue is derived from our state flag. It is symbolic of the fact that Texas is the only state that has been an independent country, and today is known as “The Lone Star State”. The cowboy on the seahorse combines our western heritage, our love of the sea, and our sense of adventure. The slogan “Where the Cowboys Ride the Sea” appears in the masthead of the “Bay Neigh”, our monthly newsletter. This cowboy is a unique symbol that is prominent in our publications, apparel, and in our home port decorations. The name of this character is Randolph, after the famous actor Randolph Scott. Scott was a complete gentleman, combining a rugged “can do” attitude with and a sense of decency and fair play. Those are qualities we all aspire to possess. The seahorse that Randolph is riding is named “Stardust”, after Scott’s favorite mount. The gold trim on the burgee recognizes the celebration of our 50th anniversary in 1999. 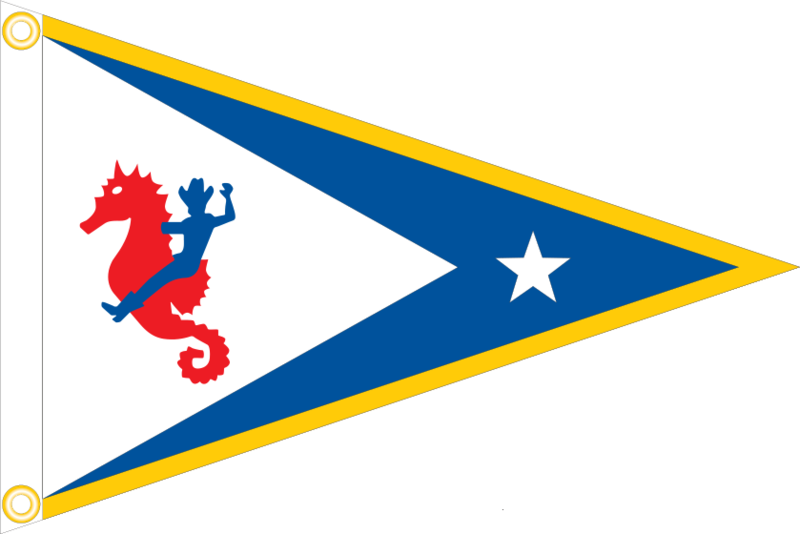 Our Houston Burgee has flown proudly from vessels that have traveled many lakes, rivers, and oceans. It has also circled the globe on a NASA mission. Our members have many options for boating and we use a lot of them!